A cap rate or capitalization rate is found by dividing NOI, net operating income, by the cost of a property or its fair market value. Obviously, we can reverse the process–find property values if we know both NOI and the applicable market-dictated cap rate for that type of property. Here’s what we know from that article: Vineyard grape production (before an Asian invasive species–the lanterfly–descended on the area) was 3 tons per acre per annum and the wholesale price was $2,000 per ton of grapes. That’s all the article tells us, but we can surmise the price of land from just this info. 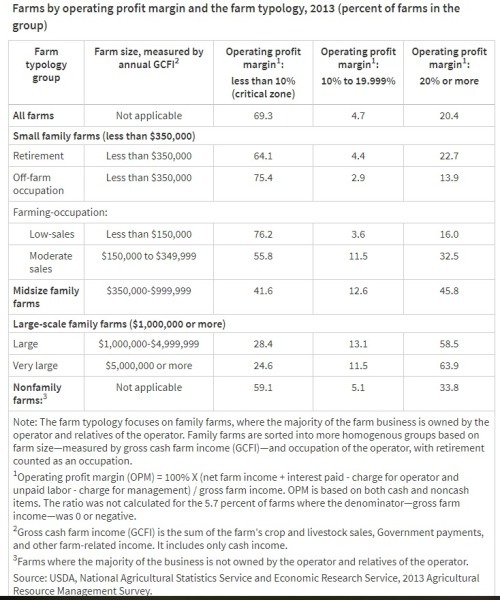 Here’s how–the total yield is $6,000 per acre per year; if we assume a farm operating margin of 10%, this means the farmer makes about $600 per acre per year and, if the applicable cap rate is 6%, the value of this land is $10,000 per acre ($600/.06). That’s USD. 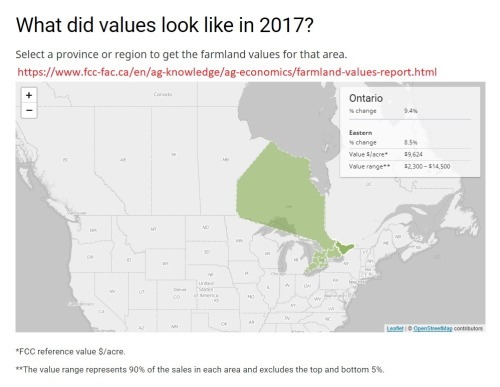 In 2017, farmland in Eastern Ontario was valued at $9,624 CAD so the above number for Pennsylvanian land looks reasonable. But cap rates for farmland have been known to be in a range as low as 3%. This makes a BIG difference. At 3%, the vineyard land is worth $20,000 per acre. Now according to MSN, land values in Pennsylvania are the 10th highest of any state in the US (https://www.msn.com/en-us/money/generalmoney/what-us-land-is-really-worth-state-by-state/ar-BBkTfZS#image=BBkGo1K|39), an average of $31,923 per acre, but since this includes all land–urban as well as rural, it’s biased upwards, at least from a farmland point of view.